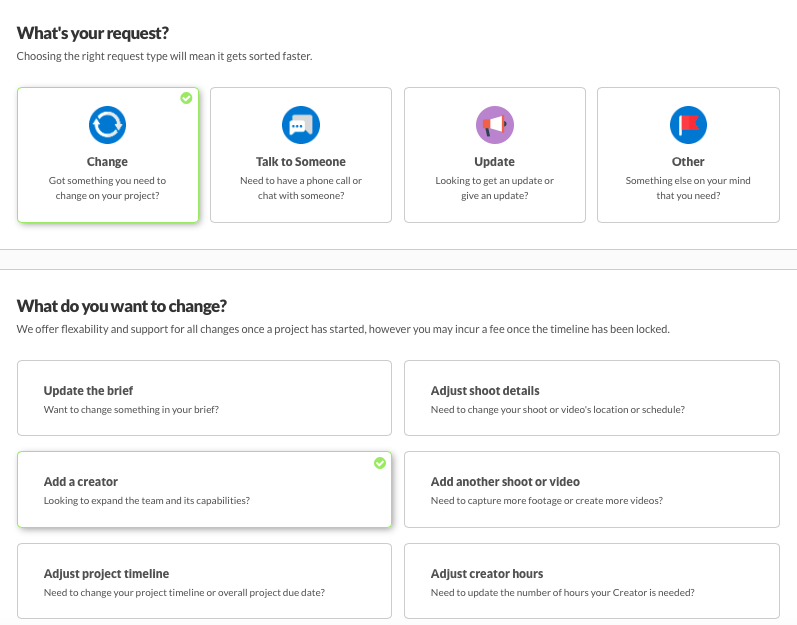 Making a change to your project is now easier than ever. Whether you want to add another shoot, talk to someone directly, or ask for an update, we've got you covered. You'll notice that we have replaced the comment box with two shiny buttons. 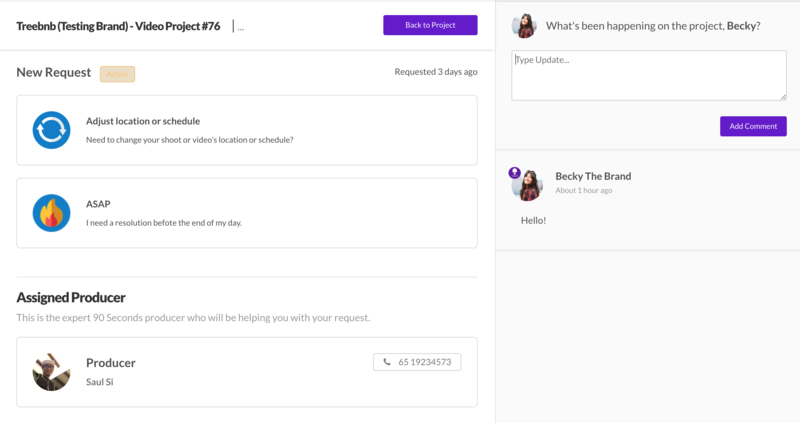 These are designed to provide you with an even better 90 Seconds experience, helping our Producers prioritise tasks and resolve requests faster.